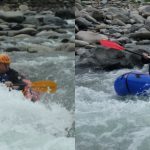 Come and experience a full day pack rafting adventure on the Tonegawa river in Minakami, Japan with JMGA certified guide Hiroko. Spend a whole day pack rafting on the beautiful Tonegawa river. See several wonderful parts of the town of Minakami. Enjoy lunch at Kawahara midway through the trip, and hot springs at the end. 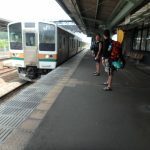 From 9:00 am to 3:00 pm, I would like to guide you on an exciting and beautiful pack rafting trip on the Tonegawa River. Also known as the Tone river, Tonegawa runs through the stunning town of Minakami in the Gunma prefecture of Japan. And during this 6 hour rafting journey, you will get to see much of the beauty of Minakami. This is an introductory level trip. As a result, it is ideal for beginners to the world of rafting. The current is not too strong, and you will be moving through a very easy to maneuver section of the river. Along with the scenic value of the trip, you will also get to learn many important rafting skills. Those skills include boat control, self rescue techniques, how to respond to tipping and more. These skills will help you if you wish to continue rafting on more difficult routes in the future. During the trip, depending on conditions, we will enjoy a lunch break at Kawahara. And at the conclusion of the trip, you will have plenty of time to explore Minakami, and also enjoy some soothing hot spring bathing! 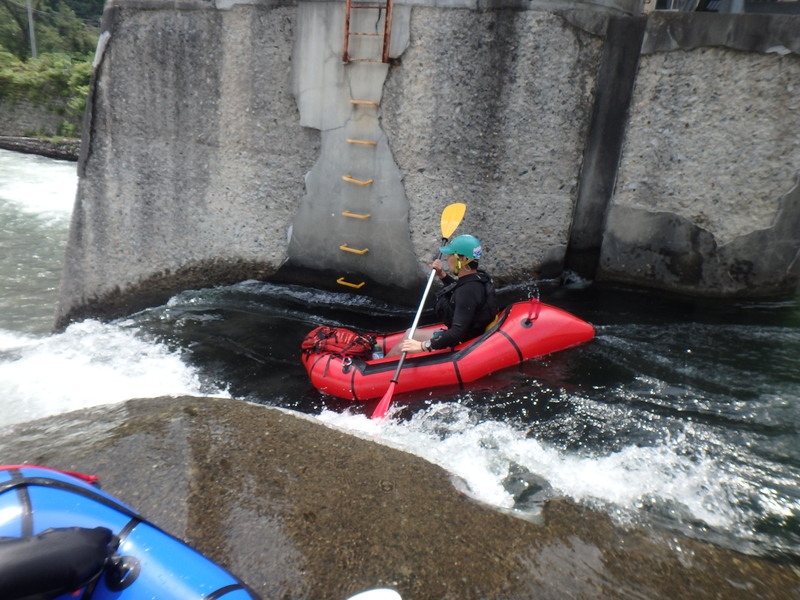 Pack rafting on the Tonegawa river is a wonderful experience. The water is lovely and the scenery you will get to admire is unforgettable. If you would like to join me, just send me a request. I look forward to hearing from you and guiding you. I also offer a shorter, half-day version of this rafting trip as well, which you can experience here. 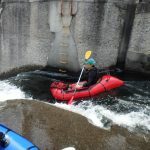 In addition to the guiding fee, the price also includes insurance, taxes, lunch and rental equipment, which includes paddle, PFD, helmet, wetsuit and shoes. There are comfortable accommodation options in Minakami that I would be happy to recommend to you. Participants must bring swimwear and a towel, and should bring beach sandals, sun glasses, rain wear in case of rain and a change of clothes. Participants must be at least 16 years old. There is the possibility of cancellation due to weather or water level. There is also the possibility of cancellation or schedule change in the event that not enough people do not gather. I am a JMGA mountain guide based in Minakami in Gumma prefecture in Japan, home to Mount Tanigawa in the Tanigawa Mountain Range. It is one of the top 100 famous mountains in Japan and is my favourite mountain full of potentials in rock climbing, mountaineering, backcountry skiing and trekking. I also run a lodging service there for the convenience of clients, which I started in response to the requests by my clients in 2011. 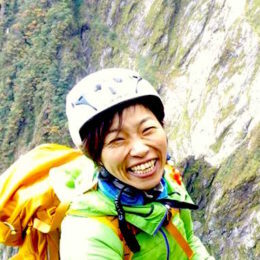 My specialty ranges from climbing / mountaineering, trekking (hiking and snow shoeing), Sawanobori (climbing up through waterfalls), backcountry skiing / ski touring, pack rafting and canyoning. Having been a member of Exploration Club whilst at University in Kyoto, my first guiding certification was in river rafting, where my passion lay at the time, and my main guiding activities now are mostly in the mountains. With “explore deeper and have fun” as mottos, I put together outdoor adventure itineraries for each season of the year, so that more people can feel and enjoy the power and kindness of the nature. I would love to share the unique, beautiful and exploratory experience you can get in Minakami with you, let it be in the mountains or in the waters! I have the following certificates: JMGA Climbing Guide Stage Level 2, Oze Nature Guide, Oze Climbing Guide and WMA Wilderness First Responder. When I'm unavailable to guide, my trusted colleagues with JMGA certifications will be able to guide you! so lucky with the weather – highly recommended! A good climb although weather wasn’t good and couldn’t see much at the summit. winter hike as she will teach you the basics of winter mountaineering. The mountain is quite steep. For beginner mountaineers, this is the perfect trial ground. Hiroko was polite friendly and extremely helpful. 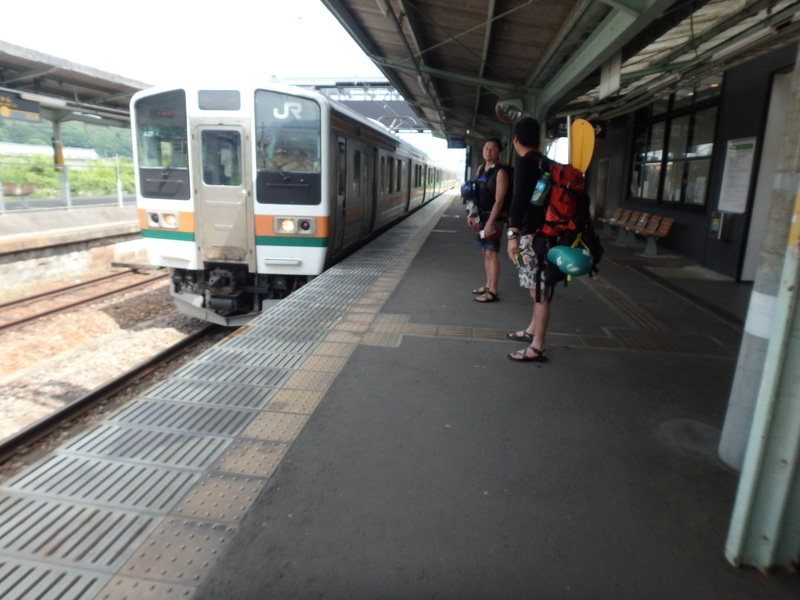 She dropped me off at an onsen after the hike and then dropped me off at the train station. Very friendly, patient and professional guide. Good rafting skills. Lovely day! Thx ! to the peak. She is a true pro. It was an epic day on Tanigawa that will live long in the memory!